Oil/fuel analysis is a series of laboratory tests used to evaluate the condition of lubricants and equipment components. By studying the results of the oil analysis tests, a determination of equipment/component condition can be made. The inspection or analysis of lubricating oil has been used to check and evaluate the internal condition of oil-lubricated equipment since the beginning of the industrial age. Today, oil analysis programs use modern technology and laboratory instruments to determine equipment condition and lubricant serviceability. Oil analysis uses state of the art equipment and techniques to provide the user with invaluable information leading to greater equipment reliability. If you understand all aspects of oil analysis you should reap the benefits that many companies get from a well-engineered, reliability-focused oil analysis program. There exist a lot of different methods to analyze fuels and oils. For example, there is ASTM in North America or IEC TC10 in worldwide and Europe. Standard oil analyses include four tests: Spectral exam: In the spectral exam, you need take a portion of your oil sample and run it through a machine called a spectrometer. The spectrometer analyzes the oil and tells you the levels of the various metals and additives that are present in the oil. This gives you a gauge of how much your engine is wearing. Insolubles test: The insolubles test measures the amount of abrasive solids that are present in the oil. The solids are formed by oil oxidation (when the oil breaks down due to the presence of oxygen, accelerated by heat) and blow-by past the rings. This test tells you how good a job the oil filter is doing, and to what extent the oil has oxidized. 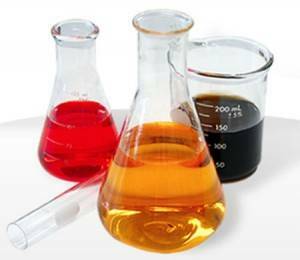 Viscosity test: The viscosity measures the grade, or thickness, of the oil. Whether it’s supposed to be a 5W/30, 15W/40, or some other grade, we will know (within a range) what the viscosity should be. If your viscosity falls outside that range, there’s probably a reason: the oil could have been overheated or contaminated with fuel, moisture, or coolant. Flash Point test: The Flash Point test measures the temperature at which vapors from the oil ignite. For any specific grade of oil, we know what temperature the oil should flash at. If it flashes at or above that level, the oil is not contaminated. If the oil flashes off lower than it should, then it’s probably been contaminated with something. Fuel is the most common contaminant in oil. Analysis of insulation liquid requires an array of physical and chemical test parameters. DGA gas chromatography test – used for analysis of transformer oil, which helps to diagnose electric equipment condition. The DGA is now a standard in service industry worldwide, and is thought to be the most important test of insulation liquids in electrical equipment. This test is in accordance to ASTM D3612 or IEC 60567. FID flame ionization detector – used for determine gas concentration, and thermal conductivity detector (TCD). Most of these systems also use methanizer, which transforms any carbon oxide or dioxide into methane and then detects the gas by a very sensitive FID. Vapor phase method (ASTM D3612C) is a new method, approved about a year ago. This method has been used for dissolved gas analysis for almost a decade. However, the technology has become a standard only several years ago, when Jocelyn Jalbert of Hydro-Quebec improved the vapor phase method using Hewlett Packard instruments (now Agilent Technologies). The second method involves injection of a certain volume of gas into a clean sealed vacuum vessel. The sample is then sealed and agitated until equilibrium between vapor and gas is reached. After a certain period of time, an automatic sampler removes a part of the gas from the test vessel and injects it into the GC (gas chromatographer). The advantage of the method is that it can be automated, reducing the risk of operator error while handling the sample in the process of preparation and injection. Liquid chromatography is one of the most dynamically developing analytical methods today. It is used to determine the content of furan derivatives and additives in transformer oil, increasing diagnostic accuracy. Derivatives of the pentatomic heterocyclic compound furan, are selective products of thermochemical destruction and aging of cellulose, which is a component of the oil impregnated paper insulation. The content, dynamic of formation and ratio are the criteria of insulation condition. If more than 15 mg of furan compounds are detected in the oil of operating equipment, regular and extensive monitoring of insulation degradation is required. Furfurol content can also be determined by express analysis, based on color reaction of furfurol with acetic anhydride. IR-spectrometry (content of Ionol additive) – allows obtaining information on additives, aromatic and acidic compounds content, and can indicate the oil’s type if required. Using IR-spectrometry in combination with high efficiency liquid chromatography facilitates solution of nearly all analytical problems, related to the need of identifying various chemicals in the oil. This can be very important when diagnosing electrical equipment. Thin-layer chromatography can detect the content of ionol additive. The TLC method is simple and inexpensive in terms of required equipment. The above shows that modern methods of oil quality control combined with traditional diagnostic methods can significantly increase accuracy and efficiency of complex electric equipment tests.